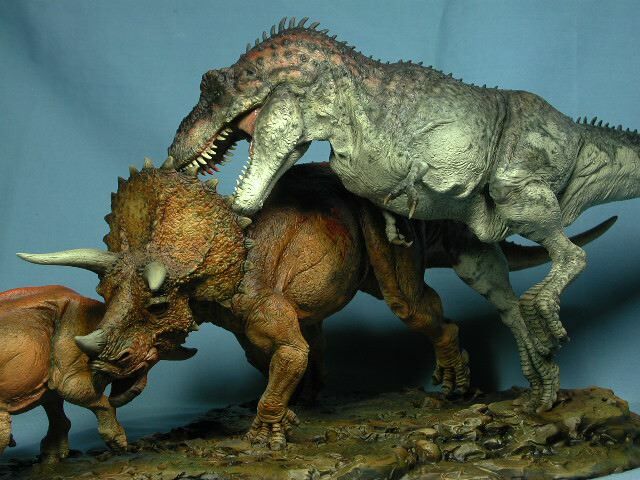 Tyrannosaurus rex Triceratops Predation Scene: 1/30 scale, 16 piece cast, T-rex body, head, lower jaw, tail, right leg and arms separate. Triceratops head, body, tail front legs separate. Young Triceratops head, body and front right leg separate. Included is a simulated terrain base with marked footprints for easy positioning and an oval pine base for display. 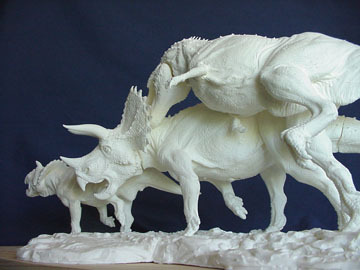 The model comes unpainted and easy to assemble with some seam and texturing work needed. 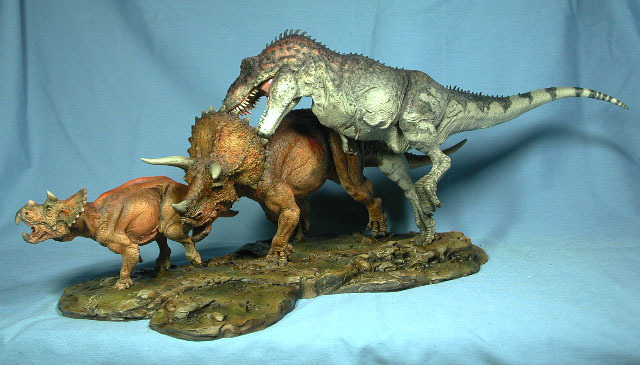 Tyrannosaurus/ Triceratops cost $248.00 plus $16 for shipping and handling within the U.S. Painted Model and photographs to the right courtesy of Steve Riojas. Painted Model and photographs to the left courtesy of Cheung Chung Tat.